The meaning of food cravings can be broken down into emotional and physical needs. Both of these issues need to be addressed in order to win the battle. Some food cravings will be easier to master than others, but if you start small and have patience with yourself, you will see success. Some cravings are brought on by unmet emotional needs. For example, a craving for chocolate could indicate a need for stimulation or feeling deprived of love and romance. Cravings for baked goods may mean that you are tense and need to relax. Why Do You Crave Shrimp? 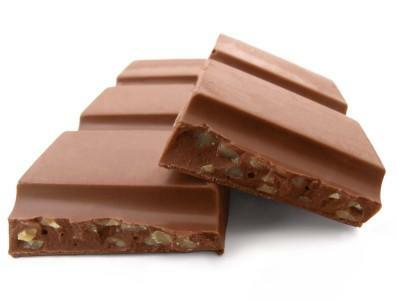 Why Do People Crave Chocolate? There are four main emotions that lead to food cravings. As soon as you recognize and face the emotions that trigger your cravings, you will start to understand the meaning of food cravings and begin the task of keeping them under control. Fear is the first emotion involved in food cravings. Because we are often afraid to look at ourselves and identify issues that trigger our cravings, fear is a big obstacle to overcome. Often it is easier for others to recognize your issues than it is for you to reflect on certain issues yourself. Anger is another emotion that can trigger food cravings. Experts say that anger results in cravings for crunchy foods. If you feel angry, whether it is at yourself or others or even about a situation, take positive steps to resolve your anger. It may seem easier to eat a chocolate crunch bar than it is to confront someone who has made you angry, but resolution will produce better results in the long run. You will feel better and your waistline won't suffer for it. Shame is another key emotion to consider when striving to understand the meaning of food cravings. You may feel shame because you are overweight, so you reach for the chocolate pudding to sooth your insecurities. This, of course, makes the problem worse because then you feel guilty for eating the chocolate pudding! Learn to forgive yourself and you will see that others do not see you as critically as you see yourself. Stress may be one of the biggest triggers of food cravings. This is because of the emotional, as well as the physical, issues surrounding stress. Learning how to effectively reduce stress will help considerably to control cravings. Exercise is a terrific way to relieve stress and, as a bonus, is also a great way to control your weight. You may feel like you don't have time to exercise, but even a short walk will not only help you to relax, but will also energize you to finish the task at hand. You will find that you can accomplish more if you make time for exercise. Physical causes of food craving usually involve deficiencies in vital nutrients or an imbalance of certain chemicals in your body. So your chocolate ice cream craving may indicate an emotional need--you feel depressed--or a physical need--you have a need for chromium in your body. Once again, stress may be the culprit. The meaning of food cravings for you may be that you are under stress which produces a chemical called cortisol from your adrenal glands. Cortisol stimulates the production of insulin in your body. Insulin causes your blood sugar to fall and low blood sugar leads to a decrease in the brain chemical called serotonin. Low levels of serotonin trigger cravings for carbohydrates. The cycle never seems to end.Resolving all of the stress in your life is impossible; but you can reduce a great deal of stress by learning different methods of stress management. Exercise is one way, along with meditation, getting enough rest and even just learning to say "No" when people ask for more than you are able to give. Carbohydrates--This kind of craving could indicate low levels of serotonin in your brain. Serotonin is processed by the amino acid Tryptophan. Increase Tryptophan by eating complex carbohydrates like whole grains and legumes. Sugar--Sugar cravings are also caused by a lack of Tryptophan as well as chromium, phosphorus and carbon. This deficiency can be corrected by eating fresh fruits, vegetables like broccoli and cabbage, cheese and lean proteins. Sugar cravings are also related to the release of dopamine, which is produced when you eat sugar. While this chemical produces a "feel good" response in your brain, it also is what causes you to become addicted to sugar. Sugar addiction can contribute to blood sugar imbalances which causes more cravings. Salt--If you crave salt, this could indicate that you have adrenal exhaustion. This is usually a problem in people who lead fast-paced, high-stress lives. Consuming high quantities of salt contributes to hypertension and is also linked to diabetes. This article only scratches the surface when it comes to the meaning of food cravings. The bottom line is this: eat a well balanced diet, exercise regularly, reduce the stress in your life and you will find the strength to control your food cravings. Don't be too hard on yourself if you slip and have a brownie. A treat now and then is ok. After all, deprivation can trigger cravings too. Work on achieving balance and you will notice many of your cravings disappearing without any effort at all.